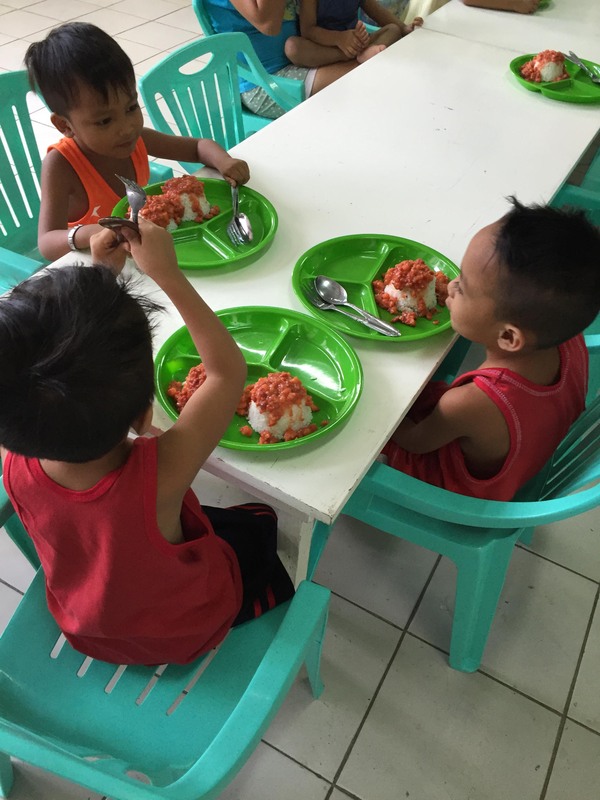 It is great news that 7 of the kids in the feeding center are now of normal weight! We will continue with serving the kids nutritious meals and vitamins so they can have optimal physical development. 7 out of the 25 kids are now of normal weight! We continue to raise funds so we can add more children to the feeding program as well as hope to fund a deserving high school student in Payatas for a college scholarship. 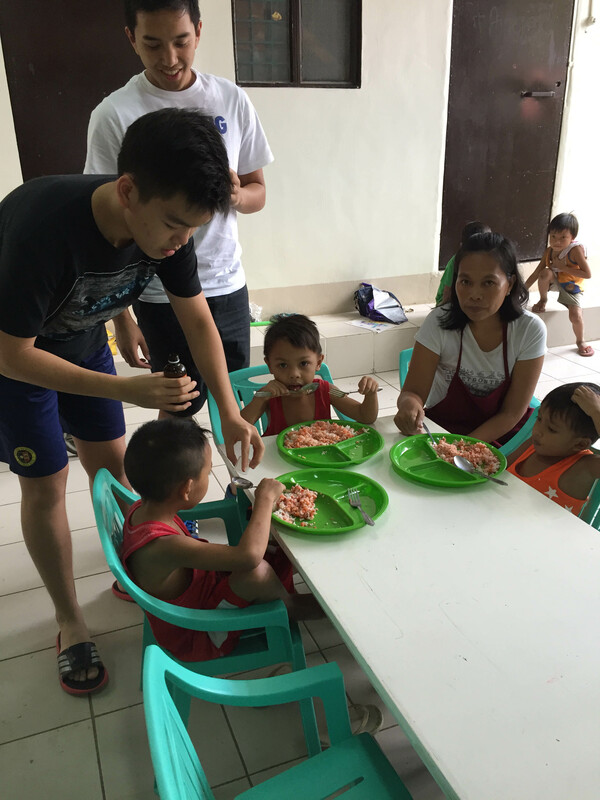 Joshua Emmanuel Tan and Javi Amador giving out vitamins to the kids. 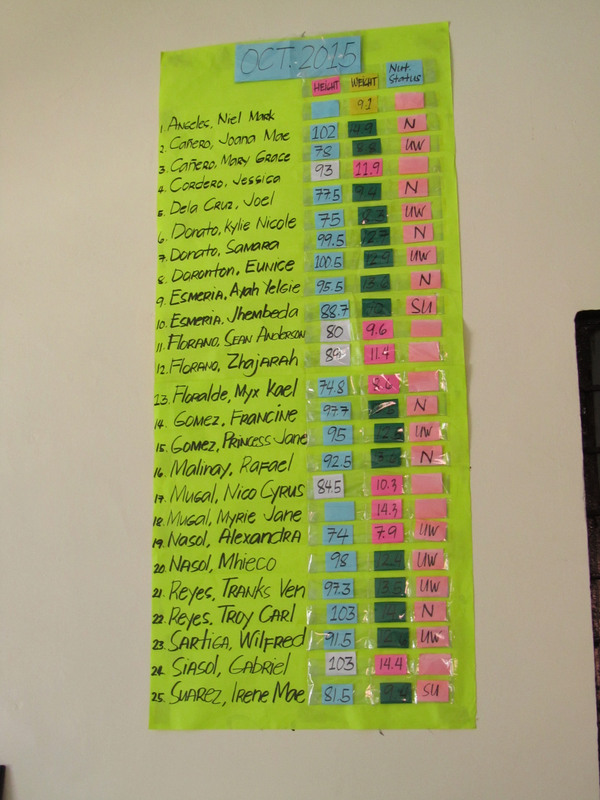 As always, we thank everyone who have given us donations and sponsored a child for a whole month or a whole year!